Australian artist and notorious sneaker customizer, Sekure D finished off 2011 with a fantastic series of custom ‘Bots. 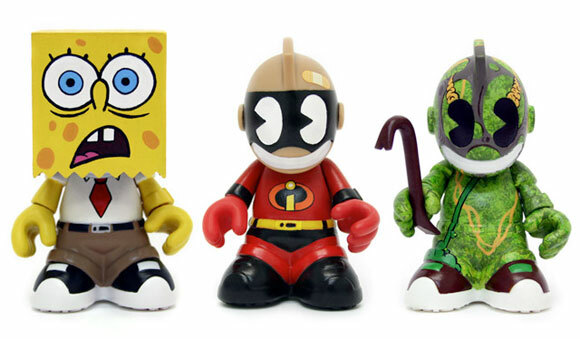 This has got to be one of the first custom series utilizing KR’s new 3-inch mascots. Sekure D has hand painted some of his favorite cartoon & super hero characters including Captain America, Hulk, Homer, Sponge Bob, Incredible, Swamp Thing, Jordan and Codename Unknown Robot. 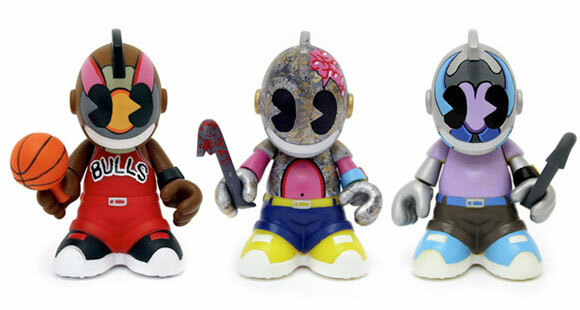 Like all good mini series, these bad boys come blind boxed and are currently available for $50 on Sekure D’s webstore. Be sure to check out more his original custom creations on Flickr.